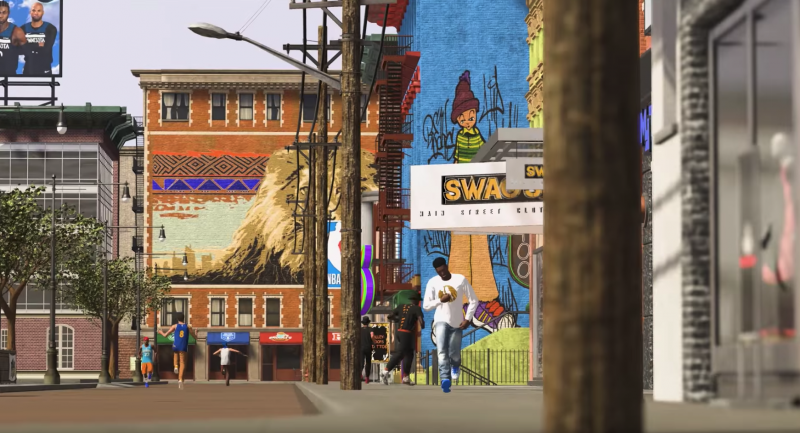 Last season the folks over at NBA 2K introduced to its players “The Neighborhood.” What the neighborhood brought to 2K was a creative new way for players to customize their characters and interact with other players. NBA 2K knew that they needed a new way for players to play and have fun with the game than just playing season games. The neighborhood was a big success in NBA 2k18 that they’re bringing it back for the upcoming NBA 2k19. For NBA 2k19 the neighborhood has a fresh new design, new day and night transitions, as well as some upgraded events. A big part of last year was being able to play pickup games with online players in the neighborhood’s basketball courts. For NBA 2k19 they’re bringing that back but with some cool new features. Taking a page out of the old Slam Ball days, it will look as if you’ll be able to practice your signature high flying dunks on a basketball court that’s built with spring pads. Pro-Am games seem to now be taking place in a newly designed basketball court known as the Jordan Rec Center, where you’ll be wearing jerseys donning the Jordan logo. Another big part of the Neighborhood was the ability to customize your character’s looks by simply visiting the local barbershop or tattoo parlor, so don’t be surprised if that’s still around in the upcoming 2k19. One thing that they seemed to have added that I think players will really enjoy is the chance for your player to buy a mode of transportation. Last season players had to reach a certain level to unlock a bicycle that you can use to go around the neighborhood. It seems they have done away with that and simply made a store in which players can visit and buy some new wheels. Because why run around the neighborhood when you can simply get around with a cool looking scooter or bike. NBA 2K19 will be available on PC and consoles on September 11th, but for those that can’t wait that long, you’re in luck. You can download a demo starting August 31st that will allow you to play the prelude for 2K19. 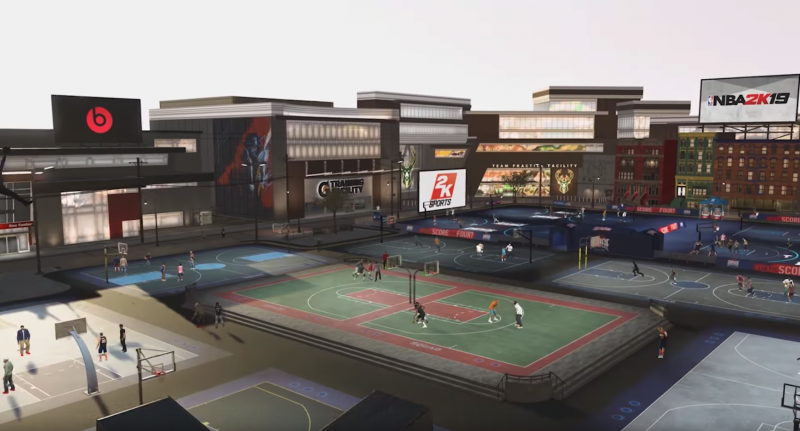 The post The Neighborhood returns in NBA 2K19 appeared first on Nerd Reactor.